HINTON, ALBERTA, Canada – If you’re looking for superb lodging in the Canadian Rockies, the Overlander Mountain Lodge near Jasper National Park is a gem you can’t miss. Located in the town of Hinton, Alberta, this charming hotel is the ideal location for weddings, social gatherings, business retreats and mountain getaways. 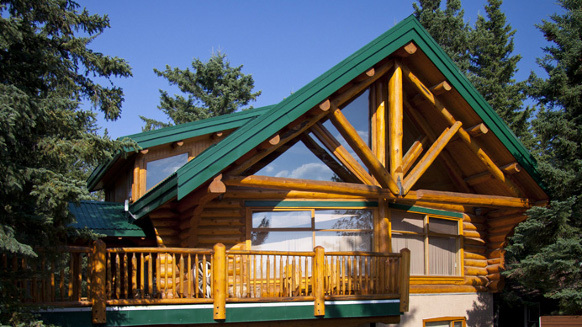 The Overlander Mountain Lodge offers guests plenty of ways to experience the Canadian Rockies and enjoy the outdoors. Hiking, mountain biking, fishing, bird watching, canoeing, white water rafting rock climbing and caving are among the many Jasper National Park activities you can do here. Tours of popular Jasper sights like Mt.Robson, Maligne Lake, Sunwapta Falls and Miette Hot Springs can be arranged through the hotel.